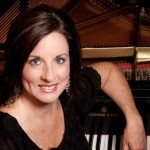 Pianist Cindy St. Clair has appeared throughout the United States and abroad as a soloist and collaborator. In August 2014, she was invited to participate in the 39th Annual Classical Music Festival held in Eisenstadt, Austria where she participated in master classes at the Haydn Conservatory and appeared on the Gala Recital at the Esterházy Palace. She has been a featured soloist with the Huxford Symphony Orchestra, the University of Alabama Symphonic Band, and the Samford University Orchestra. She has also won several piano competitions in the region. In demand as a collaborative pianist, Dr. St. Clair has a wealth of experience working with vocalists, ensembles, instrumentalists, choirs, and music theatre groups. She served as a church pianist for over 34 years. Dr. St. Clair holds a Doctor of Musical Arts degree in Piano Performance from the University of Alabama. She also holds a Master of Music Degree in Piano Performance from the University of Alabama and a Bachelor of Music Degree in Piano Performance from Samford University. Major Professors include Kevin Chance, Amanda Penick, Ronald Shinn, and Judson College alumna, Betty Sue Shepherd. Dr. St. Clair also holds a Bachelor of Science degree in Paralegal Studies and Business from Samford University. She worked 16 years in the legal field prior to pursuing her degrees in music during which time she spent many years serving on the Board of Directors for a professional association, mentoring students, and presenting lectures at professional conferences. Dr. St. Clair has taught at several summer music programs and currently serves on the board of the Alabama Music Teachers Association. She was a founding member of the collegiate chapters of the Alabama Music Teachers Association at Samford University and at the University of Alabama. Previously, Dr. St. Clair was the Director of Instrumental Music at Indian Springs School in Birmingham, Alabama. She is also a former teacher in Samford University’s School of the Arts Preparatory Department. She is frequently invited to adjudicate piano competitions. At Judson, Dr. St. Clair teaches applied piano, piano pedagogy, class piano, and theory.